follow Over the years of being in the innovation space, I’ve discovered a set of laws by trial and error. Needless to say, I have the scars from the school of hard knocks to validate that these 7 laws of innovation are critical for innovation success. If you violate any one of them, the consequences can be disastrous. These laws apply to all sizes of organizations ranging from well-established multi-nationals, to early stage start-ups to governments. What Are The Laws of Innovation? go to site So how do I use these 7 laws of innovation? No single organization has it all figured out. By taking an honest audit of your innovation programs against the laws, you can identify the areas that work and those that don't. proscar generico online 1) hire someone to write my research paper The Law of Leadership: Executive level support (Board, CEO and his/her direct reports) is critical for an organization that wants to have innovation at is core. Leadership means talking-the-talk AND walking-the-walk. It means committing (and protecting) resources (time, money, people, equipment) for innovation. How much time does the executive team as a group and individually spend working on innovation? Listening to status reports from others doesn’t count. People: Every person feels ownership of the innovation agenda and is equipped and skilled to have impact. Ideas: Ideas are actively solicited from all sources and valued and nurtured not criticized or minimized. Alignment: All resources are aligned against the innovation agenda to ensure everyone is pulling the same direction. Communication: Communication that is clear, honest, respectful and transparent is essential for teamwork and establishing trust within the organization. thesis killer words 3) enter site The Law of Resources: Innovation requires a committed level of resources (people, money, time, equipment) over an extended period of time. The level of resourcing is the validation for the importance and commitment the organization devotes to innovation. Does the executive team commit the best resources to innovation? Are the resources protected? https://www.iama.edu/clinics/viagra-where-to-really-anonymous.html 4) cheapest 200mg viagra The Law of Patience: Innovation takes time. More time than is expected. The organization must take the long view on innovation and avoid the temptation and resist the pressure for short-term adjustments. 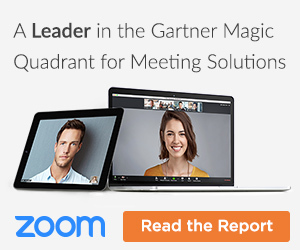 Annual resets of budgets force innovation to take on a short-term planning horizon. If resources are adjusted to help the organization meet quarterly budget challenges, then most likely, Law of Leadership is NOT in place. Don’t fall into the trap of the “Rule of 18”. Are resources committed beyond the traditional budget planning cycle? follow site 5) https://sun-world.com/blog/how-to-solve-triangle-problems/15/ The Law of Process: To succeed at innovation, organizations need an innovation process that fits and works within their organization and culture. The process should cover the full innovation chain from idea capture through the last steps of execution. This includes establishing and tracking a set of metrics that measures the success and areas of improvement within the innovation program. source 6) https://www.trip.indiana.edu/students/essay-about-english-languages-as-a-global-languages/25/ The Law Of BHAG: What is a BHAG? A BHAG is “Big Hairy Audacious Goal”. It’s what leadership lays out as the innovation agenda. The BHAG sets a clear and compelling target, serves as unifying focal point of effort, and acts as a clear catalyst for team spirit. It has a clear finish line, so the organization will know when it has achieved the goal. It does NOT prescribe the how. John F. Kennedy didn’t design the rockets that got the U.S. to the moon. He set the BHAG. http://www.drpadgett.com/walnuts-viagra/ 7) glasgow uni essay checking service The Law Of Execution: The ability to execute on both the innovation agenda and the quarterly objectives of the operating business is a key skill that the organization needs to have. Focusing on only one area of execution leaves the other to flounder. Segmenting the execution roles into separate silos works against the Law of Culture. 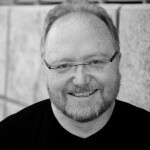 Pingback: Broadfield Media – HP TouchPad Guru Phil McKinney Lays Down "7 Immutable Laws Of Innovation"; Do They Apply to HP? Pingback: HP TouchPad Guru Phil McKinney Lays Down "7 Immutable Laws Of Innovation"; Do They Apply to HP? Thank you for MODELING the roadmap to success in innovation. I completely agree with the necessary equilibrium among all these rules. where I think you can find interesting ideas too, for exmple, pdf about Steve Jobs is quite interesting. Their ideas (the best is click in “pdf” button), are interdisciplinary and we can discover the facts from unexpected points of view. 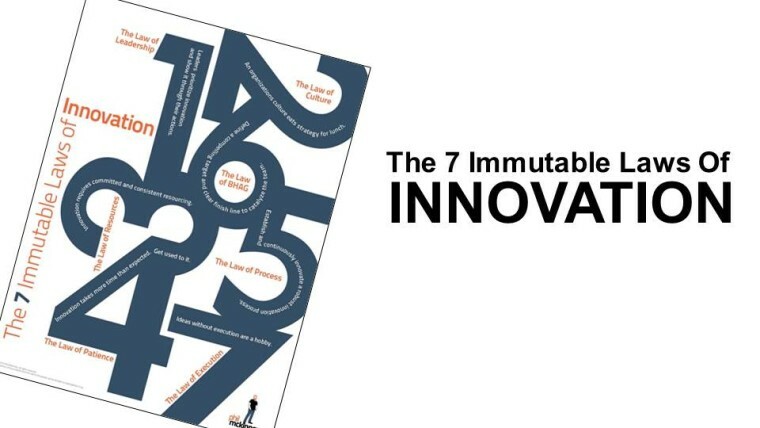 Pingback: The 7 Immutable Laws of Innovation « What's New in Technology? Although these sound great, in reality, they are laws put down from what appears to be a CEO who is out of touch with the actual working of his company and market(ing) fundamentals. Take a step back; have previously successful CEOs used these laws? Have then broken them? I think you find that the answers to both these questions are not what Mr. McKinney is implying (with all due respect). I mean, not to be a wet blanket or anything, but “leadership, resources, patience, execution”? Is this not obvious on the face of it? The fact that these even need to be elucidated is proof that there are complete idiots occupying the glass offices all around the world. Get rid of the CRAP and you open the door for innovation. Good points, all. I recommend you include an additional “law”: local champion. Wiithout the one champion (or team of champions) appropriately connected to staleholders and insanely convinced that the innovation in question MUST happen, no amount of resources or leadership will create innovation. Not all those who want to innovate are committed (ie crazy) enough to make it happen. Perhaps the changes announced by HP is the best thing for Phil and innovative technologies his team has developed. I think Phil’s best days are ahead of him. As Steve Jobs announces his retirement, we need new visionaries. After the way HP mis-handled palm, the consequences were 25% less shareholder value. I guess you and Leo violated your laws! This is the biggest load of crap. Reads like a bad self help book. this is a guy who in 2010 thought home automation was a new idea. He was not a visionary for HP but a boat anchor. He is asking for patience in a technology market that see new products every 45 days. That must be reason why they never released a truly innovative WebOS product in 2 years. Also JFK did not create a BHAG that developed the new innovation, the Russians did that. JFK got the USA industrial engine behind the idea to beat them at their own game. Innovation does not come out of a board room in some big publicly announce grand plan, it comes from the front line teams find better ways to do things. Leaders who develop innovation, find those diamonds in the rough and put the company behind them. Phil’s problem is he does not even understand that he is not innovative and has no idea where to find a good idea. Hey Phil, if you want home automation and think it is the next big thing, do a few google searches and you can buy everything you need already. If you want to innovate, give some individuals who are struggling with issues daily the tools they need. They will find inovative ways to use them. The iPhone is not one tool that does everything, it was just a tool that could do everything. Jobs knew this and focused on a tools platform that could do it all and let the individual do the innovation. As long as you try to develop tools that solve everyones problems nobody will be interested, because everyone’s problems are different. Alignment: All resources are aligned WITH the innovation agenda to ensure everyone is pulling the same direction. 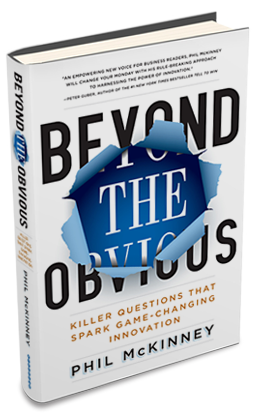 Pingback: Phil McKinney » What are the Laws of Innovation and how does your organization stack-up? Pingback: Phil McKinney » Why Does Innovation Take Longer Than Expected? McKinney | Virtual Innovation Coach and Mentor is kinda boring.